How to Hide Receipt Types? 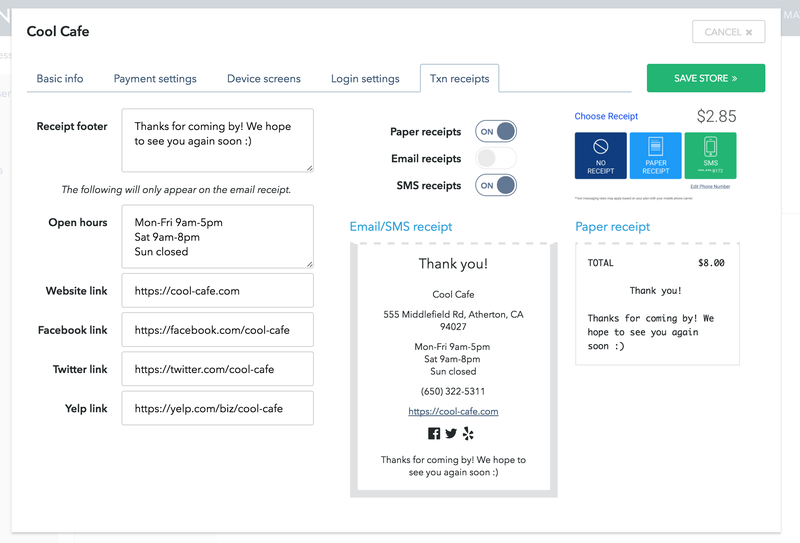 On the Poynt Smart Terminal's customer screen, the customer is able to select the type of receipt they would like to receive once they've completed their transaction. 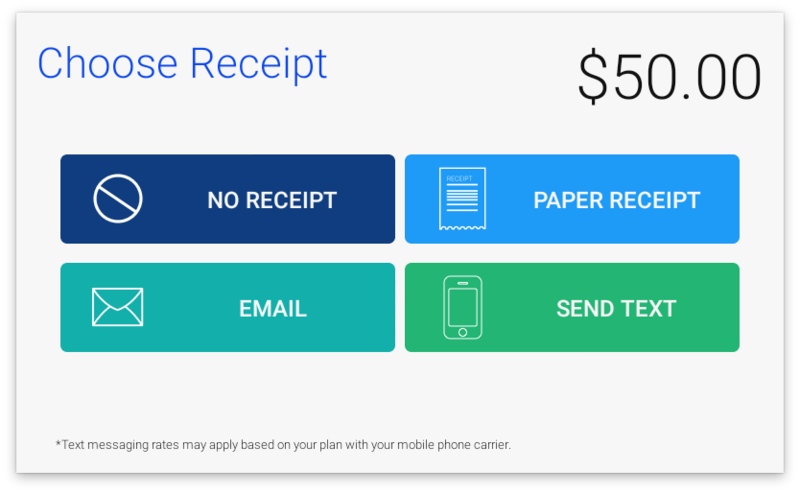 Traditionally, this screen includes the option to print a paper receipt, receive a SMS receipt, receive an Email receipt, or select "No Receipt". 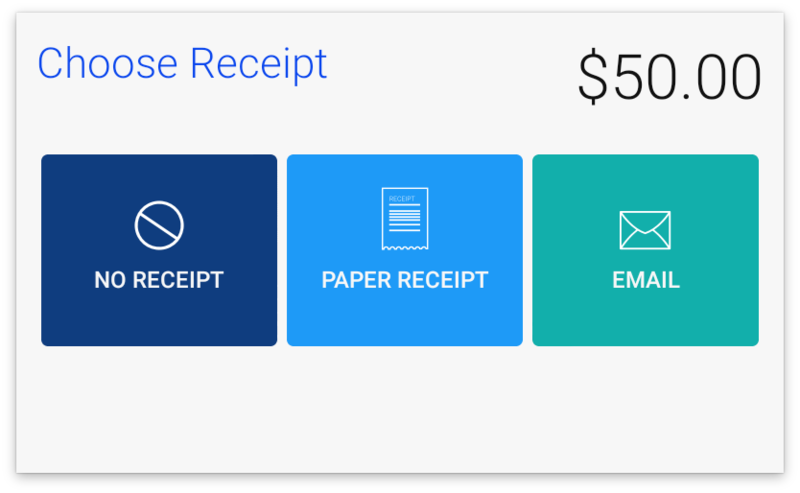 On the Poynt.net web portal, merchants may now elect to disable certain receipt types so that they do not display during the checkout flow. To edit toggles, simply go to Edit Store and then Txn receipts to manage these settings. The customer-facing screen will then only display the remaining options. For example, if only one receipt type is disabled, 3 receipt types will remain. If 2 receipt types are disabled, only the remaining receipt option and the "No Receipt" option will display. 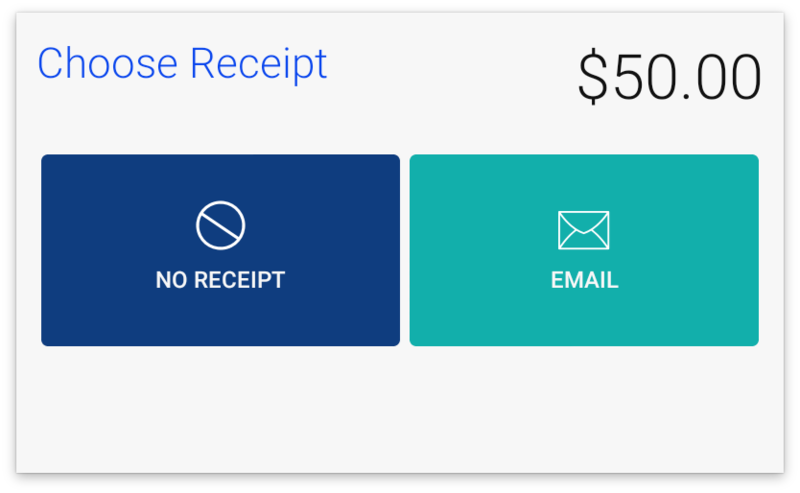 If all 3 receipt types are disabled, and only the option for "No Receipt" remains, the checkout flow will simply skip that screen during checkout and go straight to the end of the transaction. How do I re-send a receipt to a customer? What are the different types of receipt options on the device?